Grad Party coming up? 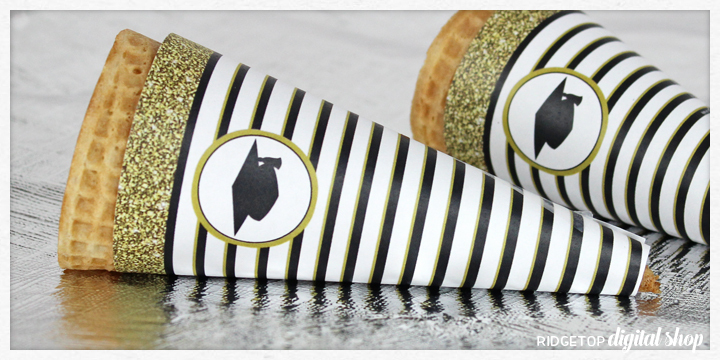 Print these ice cream cone wrappers to add flair to your party decor and food table. The cone wrappers are designed to print on one page and are simple to cut and assemble. Click here or the image below to download the printable. + Open file and print wrappers on regular white copy paper. + Use scissors to cut out wrappers. 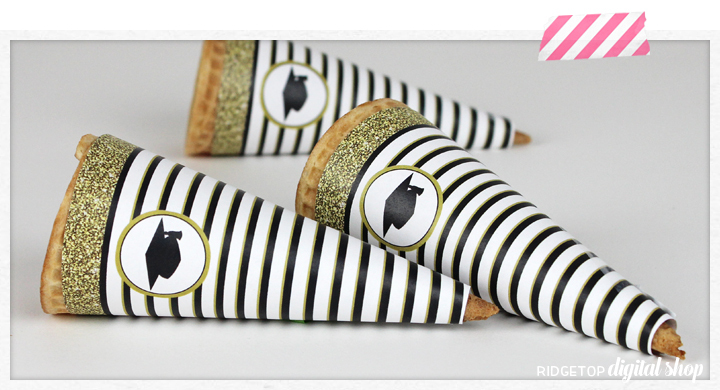 + Wrap printed piece around ice cream cone and glue paper together, overlapping ends as needed.